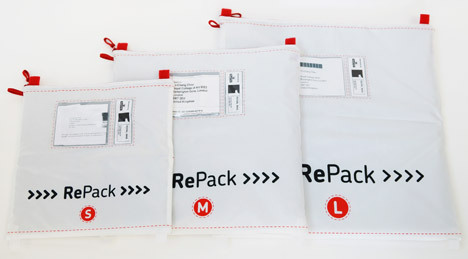 "RePack is an alternative to throwaway consumerism," according to a PDF on the company's former website, www.originalrepack.com. 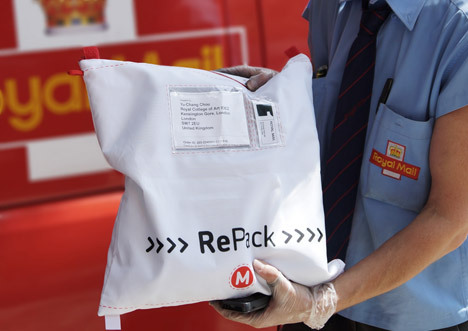 "RePack users simply return their packaging via the local postal system and get an automatic refund on their deposit." "RePack provides an alternative to throwaway consumerism," runs the text on www.yuchangchou.com. 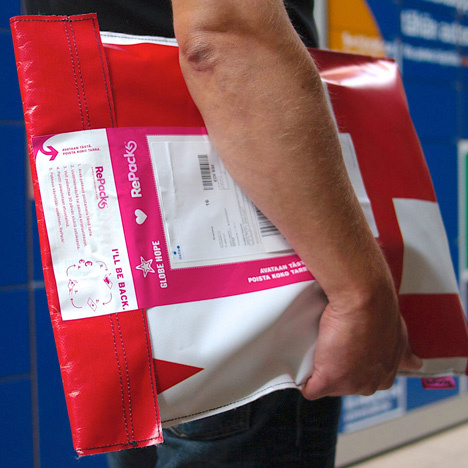 "By providing a return and reuse system with innovative RePack bags, RePack users can simply return packaging through their local postal system and get an automatic refund for their deposit." After watching his wife throw out perfectly useable packaging from her online shopping purchases, Yu-Chang Chou was inspired to develop a sustainable alternative, using a similar model to the bottle-return system used in many European countries. The course, which is a double master's programme run in collaboration withImperial College London, said it would now review its procedure to prevent similar incidents happening in future. The RCA ordered an investigation last month after Finnish startup RePackclaimed Chou's graduation project, also called RePack, plagiarised its concept, brand name and descriptive text. News: the Royal College of Art is investigating claims that one of its graduates plagiarised an existing design after a Finnish company complained that its reusable packaging concept had been copied. Finnish startup RePack alleges that RCA graduate Yu-Chang Chou copied both its concept and brand name. The company also claims that Chou plagiarised text from its website in his project description. "Not only has [the] student taken the name of our service, but apparently copied text and concepts detailed on our webpages," RePack's Jonne Hellgren told Dezeen. "We are contacting the RCA regarding this matter but we also think this kind of behaviour should not be condoned and every action possible to prevent it should be taken," Hellgren added. 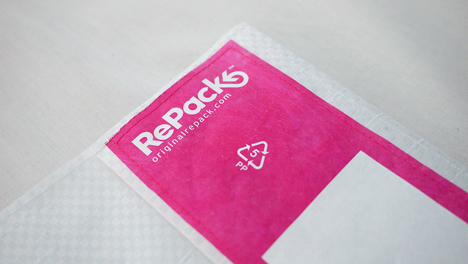 Hellgren acted after Chou exhibited a concept for reusable packaging called RePack at Show RCA 2014 last month. The project was subsequently published on Dezeen. Related story: "Don't be afraid to learn by copying others"
Founded in 2010, the Finnish startup offers a sustainable packaging solution for online retailers and shoppers. 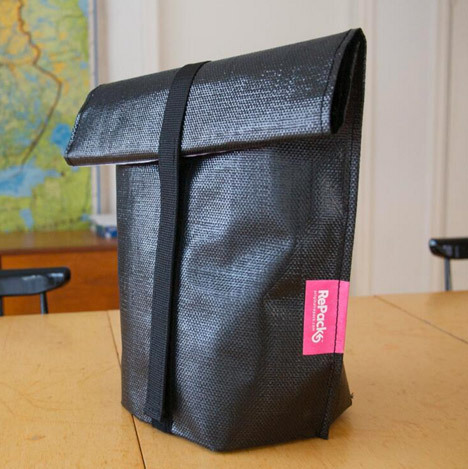 Earlier this year RePack wasnamed one of the winners of Finland's most prestigious design awards, the Fennia Prize. Hellgren claimed there were strong similarities between that text and text on Chou's website about his graduate project. 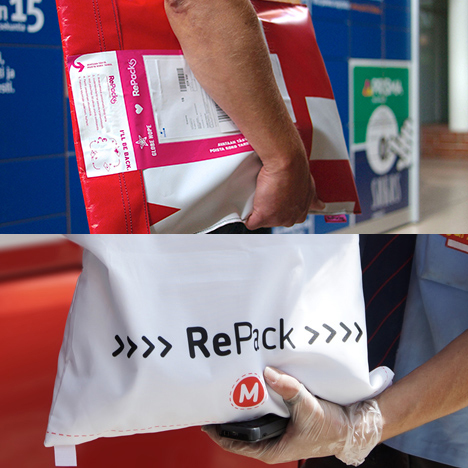 Both RePack concepts aim to reduce waste by providing special resuable packaging that customers can mail back to the retailer, or use to return unwanted or damaged items. 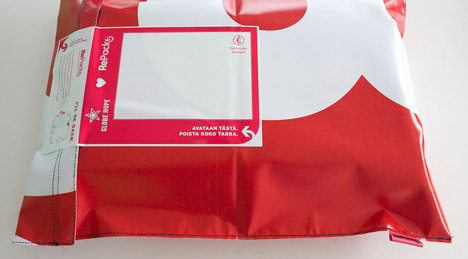 The Finnish version is already operating via the Finnish postal service while Chou proposes using Royal Mail to operate the service in the UK. Chou, who graduated from the London institution's Innovation Design Engineering course last month, admitted the concepts were similar but said his idea differed from the Finnish company's in several respects. "It is true that it is very easy to have misunderstanding about mine and their system just based on watching the video and brief description," Chou told Dezeen. "We both are trying to reduce wastes through reusing the packaging. However the way to sustain the system is different, [and] as a result the stakeholders are different and the packaging design also need to be different." He added: "As my understanding, their packaging can be customised for retailers based on their needs and the packaging is owned by retailers. The circulation of the packaging is only between retailers and consumers." "In my system, packaging is owned by [the] delivery company and therefore [the] delivery company is able to provide a packaging service for retailers and consumers. 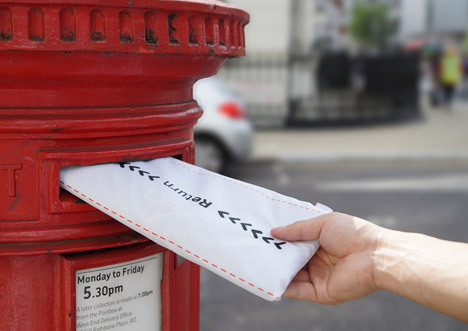 The circulation of the packaging is from Royal Mail to retailers to consumers and then back to Royal Mail." The RCA said it would investigate the claims. "The Royal College of Art takes accusations of plagiarism by our students very seriously," said Professor Miles Pennington, head of the Innovation Design Engineering course. "We will need to investigate the claims further and speak to the graduate concerned before we can make a full statement." “The Royal College of Art takes accusations of student plagiarism seriously and these claims will be investigated. The College has regulations which students are required to adhere to whilst studying at the College, in addition, the Innovation Design Engineering programme requires all students to submit a declaration of originality for their final year projects. 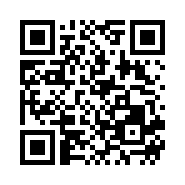 The programme expects and trusts students to develop and deliver ideas to the highest standards of originality."